high numbers. If you are new to hawk watching and want to plan a trip or a day outing, keep an eye on the weather. In fall, the day of and just after a cold front moving through, typically with winds from the north, is going to be a good day. In some areas that can mean thousands of hawks flying overhead. 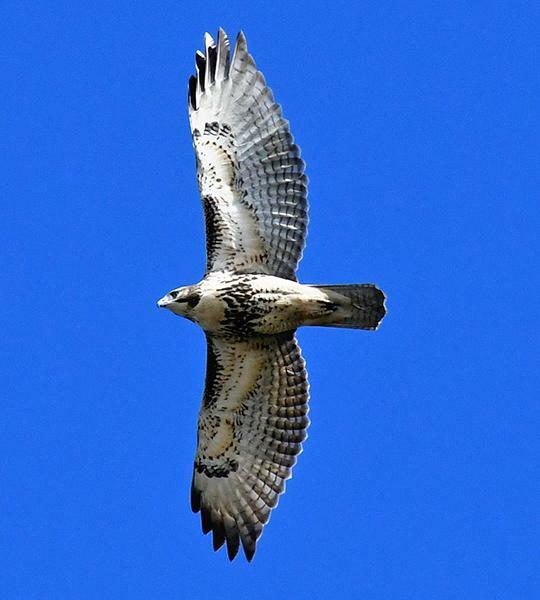 Many popular hawk watch locations collect data during migration, and have people who count and identify the raptors which glide or race overhead. Its a wonderful way to spend a few hours with friends or to meet other birdwatchers, and having the hawks identified by experts can really help your ID game. If you want to know which birds are moving right now and where the hottest spots are to see them, these hawk watching sites submit their counts to Hawkcount, which is a database updated daily. Anyone can access this data to see where the most hawks are being seen, and this can be really helpful to determine where and when to go. Check out the sites near you and see the ongoing count for raptors as they make their way south this fall. For lots of info about raptors and migration, the Hawk Migration Association of North America (HMANA) is an excellent resource for all things pertaining to hawks and their migration.